You are currently browsing the tag archive for the ‘gaming blog’ tag. Check out the podcast I'm in, called Disembodied Voices! 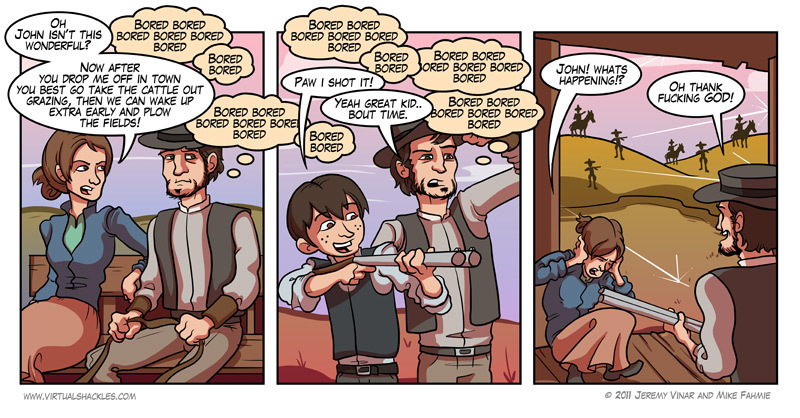 I had been playing Red Dead Redemption for about three weeks now in between some other games. I would do a mission or two then put the game away for a while to start back up later. Well, earlier tonight, I could tell the game was getting closer to the end, so I decided to stick it out and finish it in one last play session. The entire game’s story had been working up to one certain point; the death of certain characters. The entire game focused on Mr. Marston’s plan to find these men and kill them. When I started to run into some of them over and over again, I knew the ending was close. So I kept playing. And when the event finally happened, I felt very happy for Marston; he had finally completed his task that had taken him so very long and had been haunting him like a ghost. As I rode my horse back to finally get my reward, some nice music played and the atmosphere was perfect. I felt accomplished. But, after a scene with my reward, I noticed that I suddenly had more missions. Story missions. More bloody story missions. And then I continued to play the game for another HOUR and a HALF before it was over. And when it finally ended, the real ending was not nearly as fun or climactic as the “1st” ending. Not to mention that the final scene seemed forced and it gave no explanation whatsoever as to why it happened. The game could have ended on the perfect note nearly two hours ago. It seemed to me that Rockstar felt the game was a little too short and decided to throw some other crap ending in just to get some more game play. Wrong. Not only did they ruin a perfect ending, the “extra” missions that you then get to do are incredibly easy and boring. One mission has you shoot crows off of a silo. Crows. I shot ten of them and the mission was over. All the extra missions are worthless filler, only there to get the player from the 1st ending to the 2nd one. Needless to say, I’m disappointed in Rockstar. They had a perfect ending, one that would have let the player go out and finish all the side quests and continue to explore the land. UPDATE: Let me be clear; I know about the ending that you play as Jack, so you guys can stop informing me about that. I was so disgusted with the “Marston” ending, I turned the game off right then. Sure, the Jack ending might give the story a bit more of a nicer ending, but for me, it was already ruined.